Ces 2 verbes ont des significations différentes. 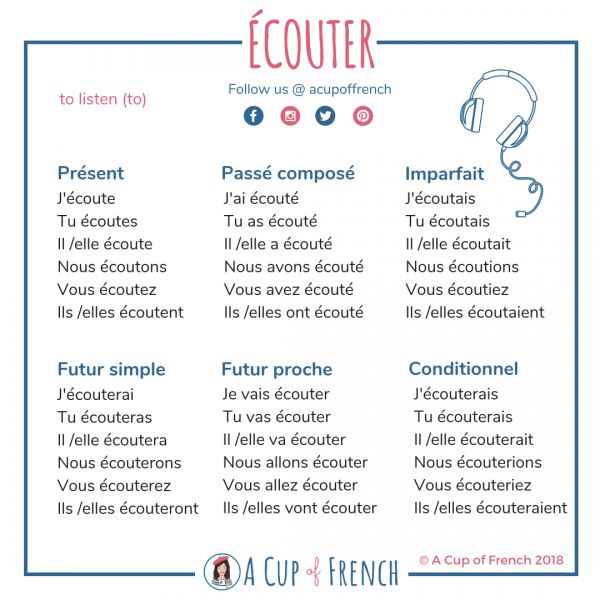 Le verbe ENTENDRE veut dire “to hear” en anglais et ÉCOUTER veut dire “to listen to”. These 2 verbs have different meanings. The verb ENTENDRE means “to hear” in English and ÉCOUTER means “to listen to”. Go to my Instagram account for pronunciation.